See also Opioid Analgesics. 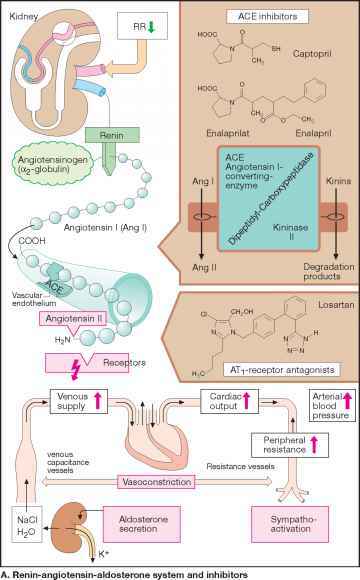 Action/Kinetics: Has both opioid agonist and antagonist properties. Analgesic potency is said to be up to 7 times that of morphine and 30—40 times that of meperidine. Overdosage responds to naloxone. Onset, IM: 10-15 min; IV: rapid; nasal: within 15 min. Duration, IM, IV: 3-4 hr; nasal: 4-5 hr. Peak analgesia, IM, IV: 30-60 min; nasal: 1-2 hr. t1/2, IM: 2.1-8.8 hr; nasal: 2.9-9.2 hr. The tV2 is increased up to 25% in clients over 65 years of age. Metabolized in the liver and excreted by the kidney. The drug has about 1/40 the narcotic antagonist activity as nalox-one. A metered-dose nasal spray is now available. Uses: Parenteral and nasal: Moderate to severe pain, especially after surgery. Parenteral: Preoperative medication (as part of balanced anesthesia). Pain during labor. Nasal: Treatment of migraine headaches. Contraindications: Use of the nasal form during labor or delivery. Special Concerns: Safe use during pregnancy, during labor for premature infants, or in children under 18 years not established. Use with extreme caution in clients with AMI, ventricular dysfunction, and coronary insufficiency (morphine or meperidine are preferred). Use in clients physically dependent on narcotics will result in precipitation of a withdrawal syndrome. Geriatric clients may be more sensitive to side effects, especially dizziness. Analgesia. Adults, usual: 2 mg q 3-4 hr, as necessary; range: 1-4 mg q 3-4 hr. Single doses should not exceed 4 mg.
Preoperative/preanesthetic. Adults: 2 mg 60-90 min before surgery. Individualize dosage. Labor. Adults: 1-2 mg if at full term and during early labor. May be repeated after 4 hr. Adults, usual: 1 mg q 3-4 hr; range: 0.5-2 mg q 3-4 hr. Not recommended for use in children. Balanced anesthesia. Adults: 2 mg just before induction or 0.5-1 mg in increments during anesthesia. The increment may be up to 0.06 mg/kg, depending on drugs previously given. Total dose range: less than 4 mg to less than 12.5 mg.
Analgesia. Adults: 1 spray (1 mg) in one nostril. If pain relief is not reached within 60-90 min, an additional 1 mg may be given. The two-dose sequence may be repeated in 3-4 hr if neces sary. In severe pain, 2 mg (1 spray in each nostril) may be given initially followed in 3—4 hr by additional 2-mg doses if needed. Geriatric clients, initial: 1 mg; wait 90-120 min before determining if a second 1-mg dose is required.